Made for twilight revelry. 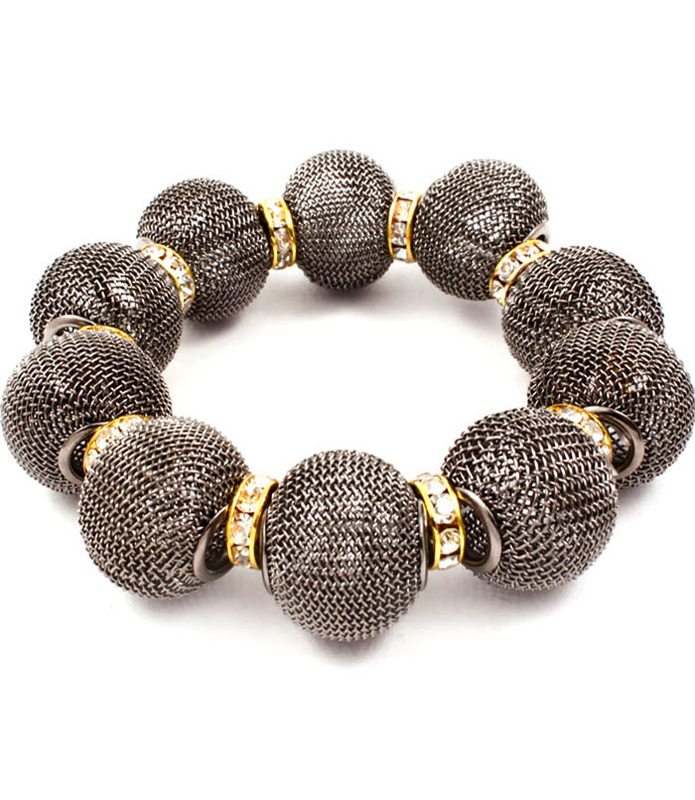 The Claudia bracelet features a simple design of smoky charcoal mesh ball beads lit up by gold-plated crystal spacers. Style with something black, silky, and floor sweeping. Oz Bling is fast becoming the leader of online jewellery stores Australia.